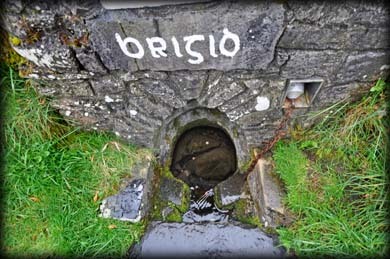 The ancient spring at Cullion was probably a place of celebration to the Celtic Goddess Brigid during Imbolc, the Celtic festival marking the beginning of spring. It was held on the mid point between the Winter Solstice and Spring Equinox. 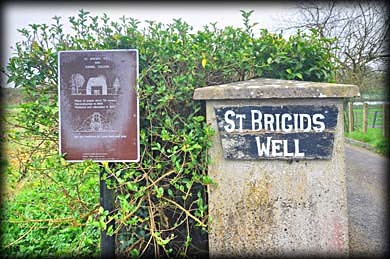 The well has become Christianised and is now dedicated to Saint Brigid. 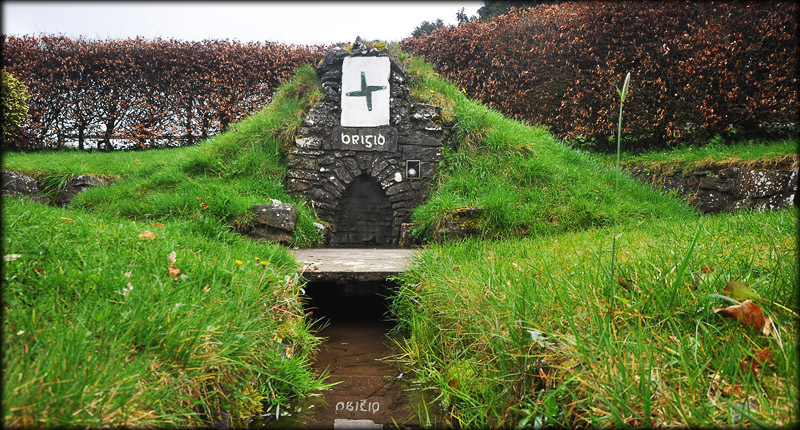 A mass takes place here on St Brigid's Day, 1st February, each year. 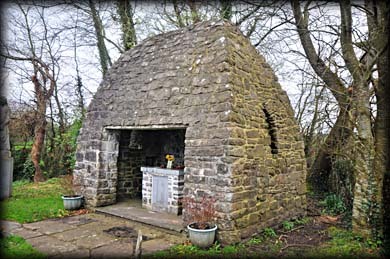 There is a small chapel facing the well and a circular walk takes you passed a series of stone plaques or stations leading to the spring. These features and the mound surrounding the well were added in 1956. A quite popular yet very serene location. Situated: From Mullingar head north on Harbour Street. Then 600 metres take slight left onto Old Longford Road. At third roundabout go right. Then 1.3 kilometres turn right at level crossing. The well is on your right. Discovery Map 41: N 4292 5570. Last visit April 2014.